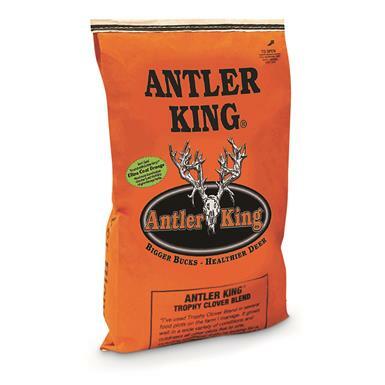 Antler King Trophy Clover Mix, 50 lbs. 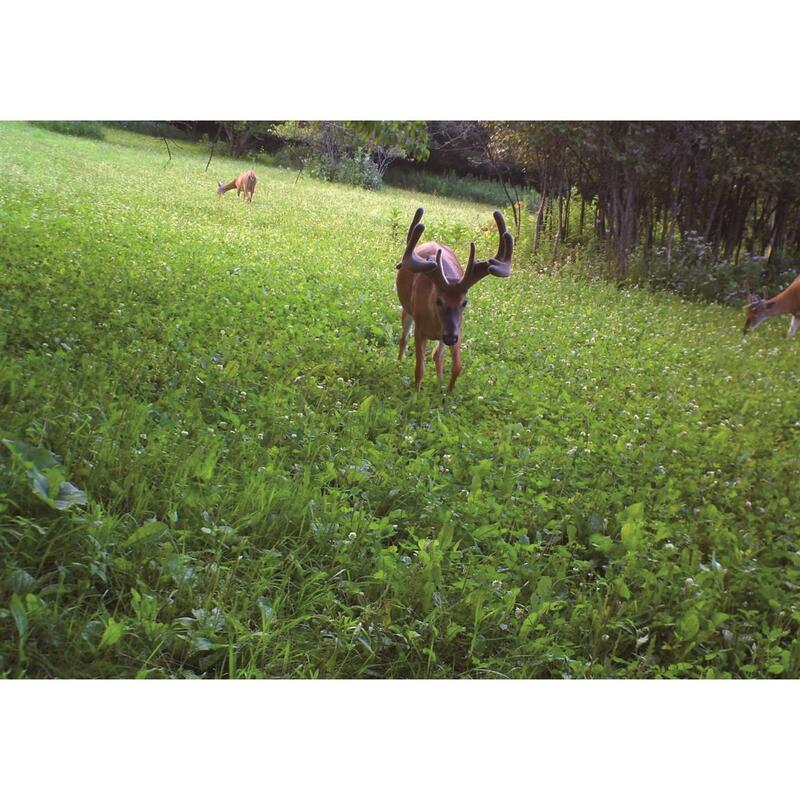 If you're going to go through the trouble of setting up a feeder, you may as well give deer the best food around! That's exactly what you'll get from Antler King®. 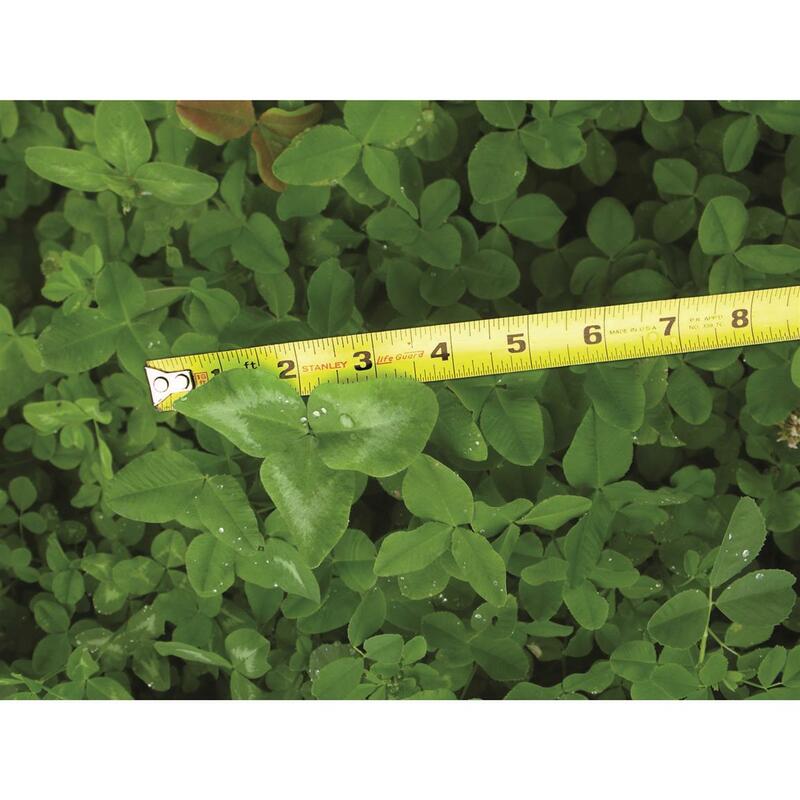 This Trophy Clover Mix provides plenty of delicious leafy food to help deer grow healthy and strong... up to 10 tons of 30%+ forage per acre per year! Treated with Antler King's Ultra Coat Orange too, for higher germination rates and increased forage yield. 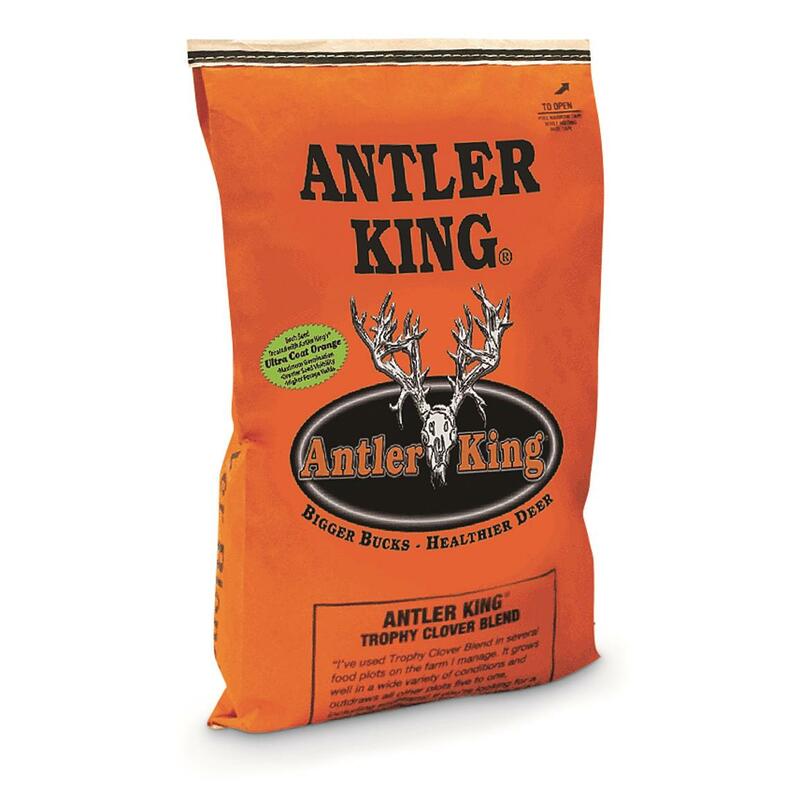 Antler King Trophy Clover Mix, 50 lbs. is rated 5.0 out of 5 by 1. 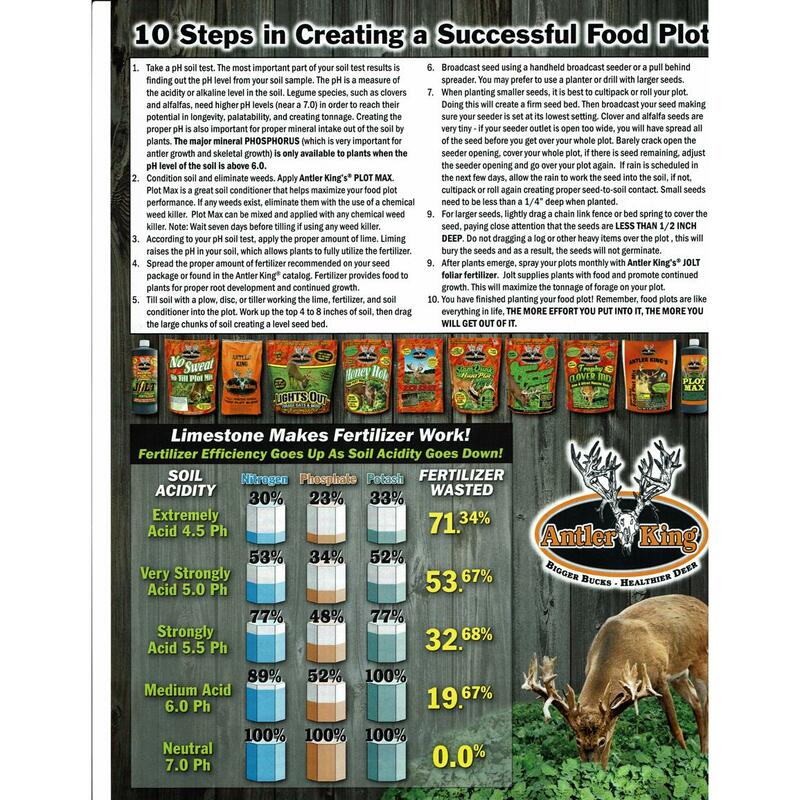 Rated 5 out of 5 by master hunter from great price, and this stuff is the best growing out there, I have tried every type of clover seed out there, Antler King clover is the best, I scrape ground, no leafs, Put 50 pounds of 15/15/15, and 200 pounds of 6-26-26 at time of first seed. 2 weeks later growth. In summer I use there jolt, and then reseed in fall. Fall I use 150 pounds of 6-26-26., Hope that helps.. The science behind growing monster bucks. Give the deer what they want!